Congratulations! 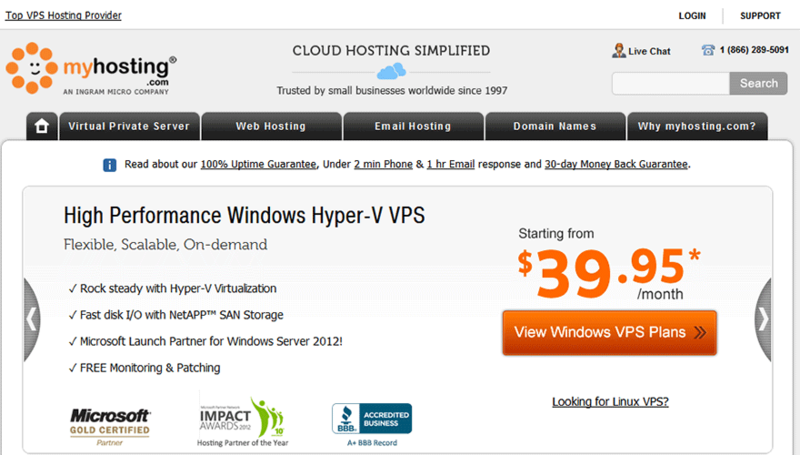 MyHosting has made a special VPS offer available to you. Save 25% instantly with coupon VPS25! More details. I’m not providing a comparison table for their services because they literally have thousands of VPS configurations available that you could choose from. As you can see, you literally have all of the options you could possibly want at your fingertips here. Simple slide the slider up on the options you need including disk space, memory, processors, IP addresses and bandwidth. Once you have those setup the way you want, then add your control panel on the left. 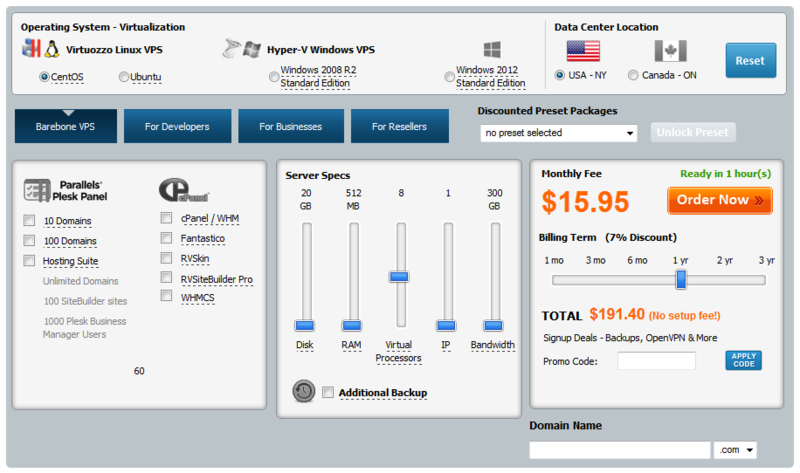 By using our link here with coupon VPS25, you” save 25% off the price shown. Top it off, your VPS will be ready within one hour! Need Windows Hosting? 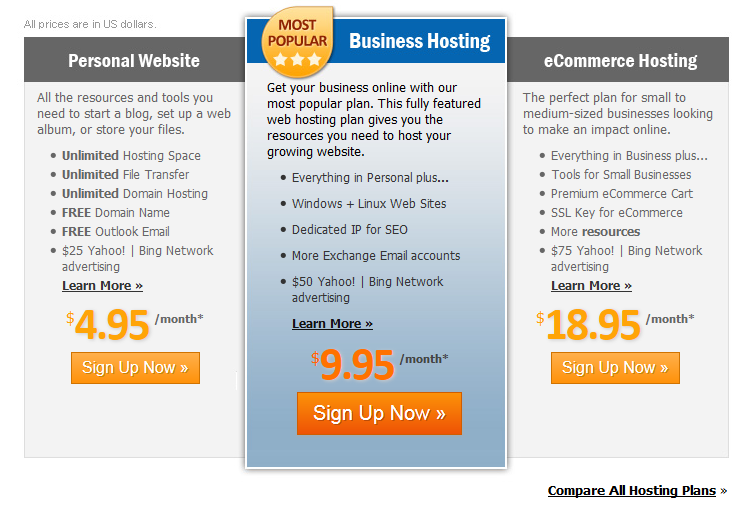 Choose the Business Hosting option. Need eCommerce? Choose the eCommerce Hosting.